Let me just give a brief introduction about the magazine. 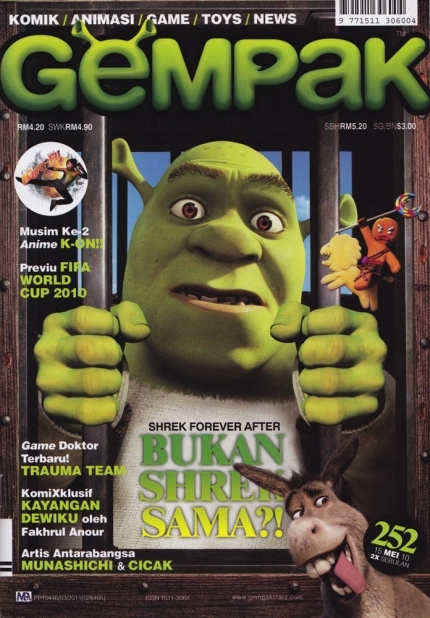 GEMPAK is one of the Malaysian comics magazine (also written in Malay language) that have the right combination of comics story and infotainment. Every issue contains all the current news and events in the comics, animation, games, films and entertainment industry from the locals and international scene. 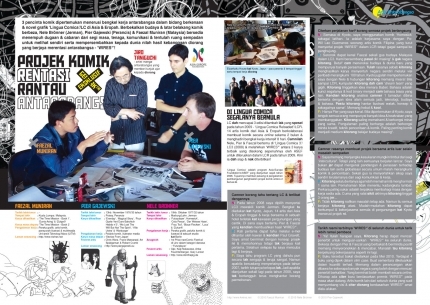 Right after the talk about WIRES* during the PEKOMIKON (please check my last blog entry), I was approached by one of the writer Tan Joi Joi from GEMPAK magazine to do an interview with the WIRES* artists. I said that we would be delighted and really honored to contribute for the article. Joi Joi sent us a set of questions and each one of us answered the questions based on our personal point of view about our collaboration project. It was supposed to be just one article, but blessed us they decided to divided it into two parts (maybe because of our lengthy answers and philosophical mood ;). So here is the part 1 of the interview.